WHO: Penny Lane, director of Our Nixon directed this as a follow-up. She also was an editor, cinematographer and producer on the documentary. Ever wondered why Buster Keaton brings his horse to a "goat gland specialist" in Cops? Thanks to John R. Brinkley these were the Viagra of the 1920s, except they didn't work. Brinkley's treatments were questionable at best, but his innovations in promotion & distribution were game-changers still impacting our economic landscape. Lane collages archival audio and film footage (in its correct aspect ratio - avoiding a common pet peeve in history-centric documentaries) with myriad animation techniques, digitally-rotoscoped re-enactments especially effectively, to explore a corner of weird American history that's unfortunately been forgotten. Perfect entertainment for this erection year. WHERE/WHEN: Tonight only at BAMPFA at 6:15 PM, presented by the San Francisco International Film Festival. WHY: If you weren't aware of Penny Lane from Our Nixon, perhaps you read her open letter to the Tribeca Film Festival last month in protest of their announced (and subsequently withdrawn) screening of the anti-vaccination propaganda film Vaxxed. I haven't seen Vaxxed (it opened at the Opera Plaza yesterday, which is very disappointing to this longtime Landmark Theatres patron) but I don't have to see it to know that a co-directing credit from a proven research fabricator marks it as an anti-scientific example of 21st-Century quackery. I hate to trot out the "those who don't know history are doomed to repeat it" cliche, but NUTS! reminded me how little I actually know about certain aspects of American society in the 1920s and 30s, despite devoting a great deal of time immersing myself in the popular culture of the era. Any regular attendees of the San Francisco Silent Film Festival (which recently announced its 2016 slate), for example, should definitely see NUTS! to get a fuller sense of the era in which its films were initially received. The fact that it includes a brief excerpt from Cops is a pleasant bonus for Buster Keaton fans. NON-SFIFF OPTION: The Niles Film Museum screens Buster Keaton's masterpiece Steamboat Bill, Jr. as well as his short film The Bellboy and a Mutt & Jeff comic short The Big Swim. All are 35mm prints, the latter tinted. A scene from Rokhsareh Ghaem Maghami's SONITA, playing at the 59th San Francisco International Film Festival, April 21 - May 5 2016. Courtesy of San Francisco Film Society. 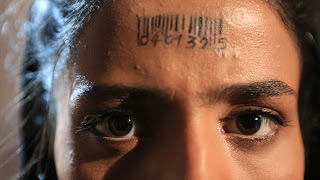 WHO: "Afghanistan's youngest female rapper" (interestingly the only two Afghan rappers listed on English-language wikipedia are female) Sonita Alizadeh is the subject/star of this documentary, directed by Iranian filmmaker Rokhsareh Ghaemmaghami. America reflects in this window onto the eponymous charismatic, teenage, homeless Afghan refugee in Tehran, nascently negotiating her public persona. Overtly because she dream of following Eminem to rap stardom; subtextually because most viewers know so little just how our foreign policy's shaped this region. The narrative centerpiece, Sonita's cry against child-bridehood, is both personal and universally coherent and applicable. (Big kudos to the Dari-English rhyme translators/subtitlers!) Ghaemmaghami's own transformation from observer to catalyst is perhaps the most fascinating aspect of her documentary. It's left underdiscussed but enough camera-captured clues remain to provide countless theorists grist for important philosophical analyses. WHERE/WHEN: Screens at BAMPFA tonight only at 8:45, as part of the San Francisco International Film Festival. WHY: There's nothing like seeing a crowd-pleasing festival film with a sellout audience of respectful festgoers. That's why I picked this multi-award-winner as today's blog pick despite the fact that the final screening has gone to RUSH status, meaning that all advance ticekts have been sold and only a few will be made available at the door for those willing to wait in line an hour ahead of the showtime. I haven't ever tried seeing a RUSH-status show at BAMPFA (at its current or previous sites), but I've almost always had good luck using this method to see a popular film at other festival venues. The Alamo Drafthouse New Mission has a major advantage over the former festival flagship venue when it comes to Rush lines: a long wind-shielded corridor leading up to the door to the lobby makes an hour wait much pleasanter in any weather than the Kabuki could claim. HOW: Digital screening with director in person. Here's a brief report on her appearance at the prior screening. OTHER SFIFF SCREENINGS: Tonight being a Friday night, there have been a number of screenings at RUSH status including the final showing of another music-themed/Iran-centric feature Radio Dreams at BAMPFA, Late last night the second showing of Lebanese comedy Very Big Shot at the New Mission and the first showing of French nun drama The Innocents were marked at RUSH, but today they aren't- perhaps a few more advance tickets have been made available day-of. If you like nothing better than free tickets, you should definitely check out Contemporary Color, a documentary about a David Byrne-instigated color guard show, by the Ross Brothers (who made Western and Tchoupatoulas) that screens outdoors for free (with SFIFF ticket) at 432 Octavia, near Hayes. NON-SFIFF SCREENING: 8PM tonight Oakland's Paramount Theatre hosts its (approximately) monthly movie screening. This time it's Sean Connery as James Bond in Goldfinger. For $5 you get a 35mm feature, cartoon, newsreel and organ concert in the grandest movie palace on Frisco Bay. 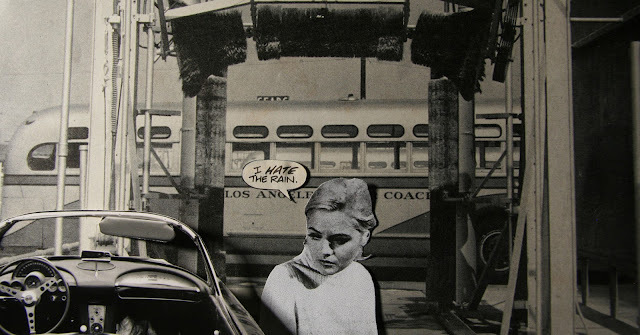 WHO: Los Angeles-based experimental filmmaker Lewis Klahr made this. Here's Jordan Cronk's interview with him. Klahr's collage films can provide a closer look at vintage comic book art than even the most finicky collector is likely to take unless scrutinizing that line between "very fine" and "near mint". We see the visual DNA of colors and shading magnified, and at the same time we read between the panels, guided by the filmmaker's temporal and spatial dislocations. The standout of a strong set of new-ish work Klahr brought for local premieres this year, Lethe is a remix of a 1960s Doctor Solar story that becomes a noirish drama set to Gustav Mahler. I still agree with all that, but the brief paragraph doesn't begin to convey how Klahr's films and videos aren't really for comic book obsessives (though they might appeal to some of the more adventurous among them, and I'd love to see what would happen if Pony Glass -which I briefly described here- screened before a showing of one of those big-budget spandex-fests that all the kids go crazy for these days), but use their detritus to tap into universal emotions and conditions. Such as Helen of T, which is clearly more about the ravages of human aging than paper aging. Klahr screened it at an SF Cinematheque show in February 2015 and detailed how the main character was torn from the pages of an unusual comic book with a science fiction theme, I believe (I don't seem to have taken notes at the screening and am relying on memory). Or Ichor, which screened in an SFIFF program two years ago, and which marries a narration of fortune-cookie-esque pronouncements to cut-out images of midcentury men on the lam, weaving a fractured narrative on the theme of fate. The images he employs once told one story, but now they've been decontextualized and appropriated for Klahr's own purposes. This must be what he means when calling himself a "re-animator". Ichor, Helen of T, and Lethe are among the twelve short works that Klahr has collected together to create Sixty Six, his new multi-chapter feature-length film set precisely fifty years ago, hence the title. Others (that as far as I am aware are making their Frisco Bay cinema debut at tonight's program) include Mercury, Mars Garden, Saturn's Diary, Jupiter Sends a Message, Venus (I'm starting to detect an interplanetary theme here), as well as Erigone's Daughter, Ambrosia, Orphacles (or is it a Classical mythology theme?) and The Silver Age (seeming reference to the comic books of Klahr's childhood). I'm excited to see them all together tonight. Manohla Dargis wrote a great review of it in the New York Times a few months ago, in case you're curious to hear more. WHERE/WHEN: Screens 6PM tonight at the Roxie and 8:30PM Saturday at BAMPFA, presented as part of the San Francisco International Film Festival. WHY: When SFIFF announced that its 2015 program would be divided into categories like Marquee Presentations, Masters, Global Visions, etc. I wasn't so sure I liked the idea. It felt like a clear borrowing from the Toronto International Film Festival, SFIFF Executive Director Noah Cowan's former stomping ground, which isn't necessarily a bad thing, but I remember well my (sole) visit to that festival, and how much more attention and emphasis was given to programs in certain sections (Gala Presentations, Midnight Madness) at the seeming expense of the (to me) much more interesting things going on in sections like Discovery, Visions and Wavelengths. Noting that all the 2015 Marquee Presentations selections were either Anglophone or Francophone films, and that nearly all the Masters filmmakers were made men just a little bit more annoyed by the division. But then I remembered that sectional programming like this is nothing SFIFF hadn't tried before; in fact the first year I really found myself delving into the program back in 2001, the festival had a Masters section (which helped guide me to great films by Agnes Varda, Jan Svankmajer and Bela Tarr, for instance), as well as Big Nights, Next Wave, Global Views, etc. And I realized how useful one particular section was for the festival: Vanguard. Though at TIFF this section name refers to cutting-edge genre films that are perhaps not quite so outré or outlandish to deserve Midnight slots, SFIFF is using it more to signify the most formally experimental films in the festival. Sticking with 2015 as the example, it was clearly quite helpful to the screening I attended of Jenni Olson's The Royal Road, for instance, that the film was positioned as something other than a straightforward documentary about Junipero Serra and the California-spanning thoroughfare he established. Audiences knew to expect an experimental essay film visually composed of landscape shots with no people in them, and seemed to respond well to what they saw. For 2016, I'm pretty sure the Marquee Presentations are still limited to Anglophone and Francophone films (and that there are even fewer of the latter than there were last year). There are still too few female Masters (but at least the ones they've got are totally inarguable: Barbara Kopple and Chantal Akerman). But I'm fine with the categorizations now, if only because I've grown used to them after a year. And if the existence of the Vanguard section helped make it possible for the festival to program Sixty Six and target it to an appreciative audience, I'm more than fine: I'm all for it! Unfortunately nearly all the other Vanguard presentations at the festival have already passed. Other than Sixty Six's two showings, the last one remaining is Guetty Felin's "chorale for several voices in the wake of the Haiti earthquake", Ayiti Mon Amour, which screens once more at 9:15 tonight. HOW: Digital screening with filmmaker in attendance. OTHER SFIFF SCREENINGS: Today is the last chance to see screenings like Wild by Nicolette Krebitz, Southside With You by Richard Tanne, Les Cowboys by Thomas Bidegain and (as mentioned above) Ayiti Mon Amour, all at the Alamo Drafthouse New Mission. WHO: Quebecois filmmaker Alexandre Larose made this. Here's an excellent interview with him conducted by Tess L. Takahashi. 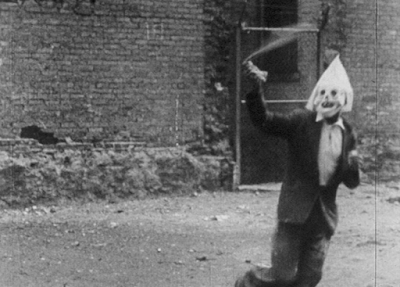 WHAT: This brief silent film is a wonder to behold. If I attend every screening for the rest of the festival, I don't expect I'll see any stretch of motion picture nearly as breathtakingly beautiful as the ten-minute slice of paradise Larose has captured/created here. It's difficult to put into words. The best I can come up with is to describe it as a head-first dive into a living, breathing, celluloid autostereogram. 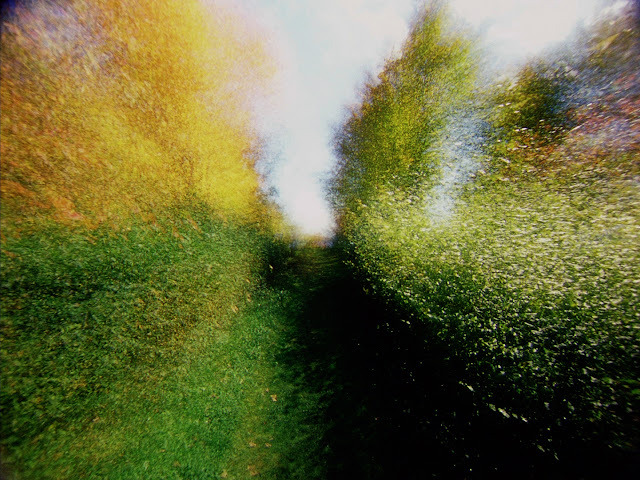 I understand it was created entirely in-camera, the filmmaker making thirty-nine trips down the same pastoral pathway, letting in just a little light at a time on each pass. The technique reminds me somehow of the early computer-aided cinematography of the very first Star Wars movie, in which multiple exposures of various mattes and models created fantasy starscapes not quite like anything humans had seen before. Of course the result is completely different, not only because of the nigh-opposite subject matter (Star Destroyers and Death Stars vs. trees, skies, and a shimmering lake) but also the gulf between servomotor precision and (presumably) handheld, organic inconsistency. But Larose's result is just as astonishing to me, seeing it on the BAMPFA screen at age forty-two as Lucas's was at the Coronet at age four. WHERE/WHEN: Screens today 6:30 only at the Roxie cinema as part of the San Francisco International Film Festival's Experimental Shorts program co-curated by Kathy Geritz of BAMPFA and Vanessa O'Neill of SF Cinematheque. WHY: Since 2004, the year I first began attending SFIFF as press (I cringe at some of what I wrote back then, particularly my pronoun confusion for discussing Beautiful Boxer) I've tried to make attending the annual shorts program collaboratively-curated by Geritz and an SF Cinematheque representative (at the time it was the great Irina Leimbacher) a festival priority. Some years the slate is stronger than others, but at its best, the program is the closest thing to a hour-long+ survey of the most vital recent artist-made cinema that Frisco Bay sees in a year (with all due respect to the Steve Polta-curated CROSSROADS festival and Craig Baldwin's bi-annual New Experimental Works shows). This year's is one of the best programs in recent memory. From Jodie Mack's kaleidoscopic Something Between Us (which inspired the program title Between Us: Experimental Shorts) to Jonathan Schwartz's snowclad, intimate Winter Beyond Winter, to Adele Horne's viscerally elemental documentary Rock, Clay, Sand, Straw, Wood, to Scott Stark's intriguing, horrifying and hilarious found footage manipulation Is It True What They Say (at times oddly reminiscent of his Lo-Res Arborscope mixed-media video installation at SOMArts Gallery this past Spring), there's a real diversity of approach and effect in the selected films and videos, creating a very balanced program that's satisfying in the way it expands how the viewer imagines cinema. At Sunday's BAMPFA screening, two of the filmmakers were on hand to discuss their work: Horne, who described how her film documented the 5-day process of building a cob cottage in Mendocino County, and Zach Iannazzi, who spoke of the chance elements in the creation of his 16mm film Old Hat (well-described by Max Goldberg here). They were joined by Michael Hopinka, the father of filmmaker Sky Hopinka, whose voice is heard on the soundtrack to his son's gorgeous landscape video Jáaji Approx (the only part of the program completely unreliant any film format, as Starfish Aorta Colossus was a digital transfer of unslit regular-8mm footage), discussing and demonstrating songs and their meaning in relation to geographical spaces; his words in both English and Hočak are transliterated phonetically in "sub"-titles centered in the video frame. Referring to the powwow happening right across the street, Hopinka led the audience in a song of healing right there in the BAMPFA theatre. It was a truly special, unexpected moment unlike any I've experienced at an avant-garde film screening before. Unfortunately, Hopinka and Horne are not expected to attend today's Roxie screening of the same program, but Iannazzi is, and Geritz mentioned he may be joined by Scott Stark. No matter who comes to the showing, audiences will have a chance to delight to a varied program of singular work, my very favorite of which is brouillard #14. If the program order from the BAMPFA screening is maintained, it will be the first film screened, so don't arrive late! HOW: brouillard #14 screens as a 35mm print along with four 16mm films and three video works by experimental moving image artists. OTHER SFIFF OPTIONS: Today is the final day to see the 5+ hour Japanese drama Happy Hour or Federico Veiroj's The Apostate (once you've seen it check out this excellent interview), at the Alamo Drafthouse New Mission, and Johan Grimonprez's Shadow World, at BAMPFA. NON-SFIFF OPTION: A 35mm Akira Kurosawa's masterful chambara explosion Yojimbo at BAMPFA, with a lecture by its senior curator Susan Oxtoby. WHO: Tom McCarthy wrote and directed this film, his first feature before going on to make The Visitor and the most recent Oscar Best Picture, Spotlight. Although my own favorite film on which he's credited as one of the writers is the Pixar hit Up. WHAT: The Station Agent is such an archetypal Sundance Film Festival success: a low-key dramedy featuring quirky, socially marginal characters interacting awkwardly in an off-the-beaten-track environment captured beautifully, if rather straightforwardly, in a long-shot-heavy camera style. Given all that, and the fact that the film doesn't try very hard to avoid or subvert cliches, it's a far better film than it has any right to be. I think this is thanks to the performances, especially those of the three lead actors. There's Peter Dinklage (not a star yet as this was pre-Game of Thrones and even pre-Elf), who plays the titular character, a railroad buff who moves to a forgotten corner of New Jersey but has no burning desire to make friends with people in a community he feels certain is laughing at him behind has back- or worse. 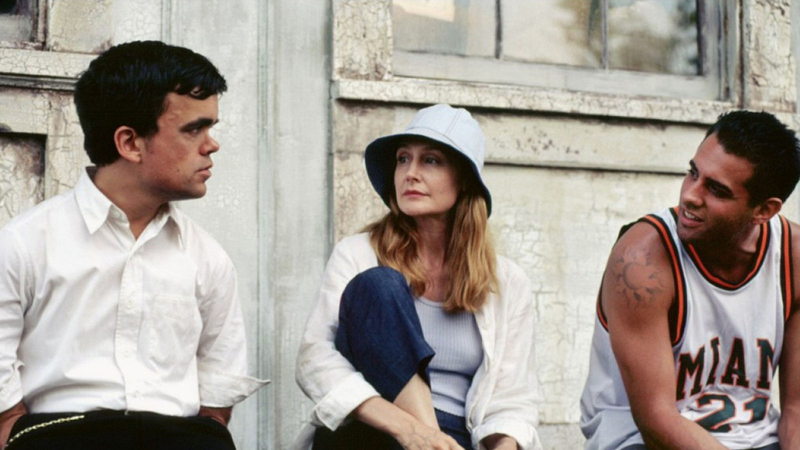 There's Patricia Clarkson, who plays a painter who has trouble focusing in the wake of a family tragedy. And finally Bobby Cannavale, who played the Jersey-est San Francisco mechanic ever in Blue Jasmine, but seems right at home here as a Cuban-American hot dog vendor eager to make friends with the other two. It's appropriate that the finickiest film awards body I know of, the Skandies, picked all three actors among its top 20 performances of 2003 (in their respective categories) even when they left the film off lists for Best Picture, Director, and Screenplay. WHERE/WHEN: Tonight only at the Berkeley Art Museum/Pacific Film Archive at 7PM following an on-stage conversation with McCarthy, presented by the San Francisco International Film Festival. WHY: If you're a big fan of The Station Agent then seeing it with a BAMPFA audience in 35mm with the director present is probably a dream come true. If you're a skeptic, or have never seen it before at all, it might be just the thing to win you over. Watching it on DVD on one's own may be the sort of solitary experience that mirrors the tone of the film, but gathering with an audience to view it on a big screen is certain to bring out some of the comedy that may be too understated for full impact in a home-viewing scenario. BAMPFA, with its respectful, knowledgeable audiences and its almost-always flawless projection, has built a reputation as the best possible place to see a film, and it's no wonder that so many filmmakers, scholars and other luminaries are eager to present films there (the venue's SFIFF guest list is online here). I understand that it was chosen as venue for tonight's screening because McCarthy wanted to screen a 35mm print, and that it was seen as the best SFIFF venue to project one. Indeed, when I went to my first SFIFF screening at the new space, the Experimental Shorts program on Sunday, all the formats shown- 35mm, 16mm and various digital forms, looked stunning. While there I picked up a copy of the May-June BAMPFA schedule, which is also available as an online pdf, and began making post-SFIFF plans for future visitations. A myriad of special guests will appear at various screenings there over the next few months. Now-retired BAMPFA curator Steve Seid will provide opening remarks to a Roberto Gavaldón film Night Falls May 28th, as part of a 8-title Mexican Film Noir series in which I've seen only one from the program, Gavaldón's positively psychotronic In the Palm of Your Hand. Julio Bracho's Twilight and Tito Davison's May God Forgive Me will screen from 35mm prints with electronic subtitles; the rest will be shown via new DCPs. Japanese cinema scholar will be there to discuss three features by living legend of the yakuza film Seijun Suzuki; two (Kanto Wanderer in 35mm and Tokyo Drifter as DCP) are part of the dozen entries in the largest Frisco Bay Suzuki retrospective since the 1990s, while the third (Branded To Kill) screens as the close of the current Wednesday afternoon In Focus: Japanese Film Classics lecture/screening series, although it appears again in the retro (as the only non-35mm title other than Tokyo Drifter- don't be fooled by the words "imported print" on the website) sans Vick, May 27th. Walter Murch, Jonathan Lethem, Carroll Ballard, David Peoples, Barry Gifford, Philip Kaufman, and Dana Spiotta are just a few of the notables appearing at the June 1-5 Auteur, Author Film & Literature series held at BAMPFA in collaboration with the Bay Area Book Festival. Two more festivals (albeit not nearly so chronologically concentrated ones) include the long-awaited return of the touring UCLA Festival of Preservation, featuring new 35mm prints of under-screened American classics from the 1910s to the 1960s (as well as a new DCP of a 1909 Mary Pickford vehicle, accompanied by Judith Rosenberg on piano as part of an all-Pickford program), and the new Early Music Film Festival, in which 35mm prints of films by Gérard Corbiau, Alain Corneau, and Straub/Huillet brush up against other "baroque and before"-themed music-pictures such as Agnes Méth's documentation of Dorris Dörrie's staging of Handel's Admeto, which will be introduced by conductor Nicholas McGegin. I think that's all the guests expected at BAMPFA in the coming months, excepting the as-yet unspecified student filmmakers who'll be on hand for the annual Film and Video Makers at Cal: Works from the Eisner Prize Competition screening the day after SFIFF ends. (Having heard Summer Mason speak about an earlier work and experiences at Cal at a New Parkway screening last month, I'm rooting for her to be on hand with her new work.) The venue's able curatorial staff will be on their own to introduce other screenings on the upcoming calendar including the 35mm screening of To Kill a Mockingbird (commemorating Harper Lee's recent passing, or Gregory Peck's centennial earlier this month, or both? ), the selections in the (all-digital) Wim Wenders retrospective, and the 2 showings of a new 35mm print of the Nicholas Ray film I'm most embarrassed not to have seen by this point in my cinephilia, The Lusty Men. HOW: 35mm print, as noted above. OTHER SFIFF SCREENINGS: Today is the final festival screening of Michel Gondry's Microbe and Gasoline, and the second screening of The Apostate. NON-SFIFF SCREENING: Since I'm on the topic of film-on-film showings, I'll highlight the Tech Museum of San Jose, the last remaining Frisco Bay IMAX screen that still uses 15-perf 70mm film reels. Today (and for the rest of the week, at least) the venue screens Batman Vs. Superman, which I can't recommend (because I haven't seen it). But I can recommend the Hackworth Dome screen as the most immersive I've experienced. WHO: Christopher Doyle is known as the cantankerous but visionary cinematographer behind the camera for Zhang Yimou's Hero, Gus Van Sant's Psycho, Pen-ek Ratanaruang's Last Life in the Universe, Fruit Chan's Dumplings and the majority of Wong Kar-Wai's directorial oeuvre. But he's also a director in his own right. On this film he's credited as cinematographer, director and writer. This experimental nonfiction film—one can’t really call it a documentary, for various reasons—is easily Doyle’s finest work as an auteur, probably because he hasn’t saddled himself with the laborious task of following a narrative. Instead, Hong Kong Trilogy is an impressionistic consideration of three different contemporary populations in HK. The first part allows a loosely knit group of children to speak of their interests, dreams and fears (bullying, animals, hip hop, Jesus, etc.) Part two is a somewhat more focused look at the Umbrella Movement, Hong Kong’s iteration of Occupy. Not only was it unusually successful, but the participants were much more invested in creating an alternate vision of a working society than other, more anarchist versions of the movement. (This is partly due to Hong Kongers having one clear rallying point: full voting rights.) The final section deals with the elderly, in particular a speed-dating service. This permits Doyle to cast a glance at the city’s more active seniors, providing a youth-to-old-age structural arc. WHERE/WHEN: Screens tonight only at 6:45 at the Alamo Drafthouse New Mission, presented by the San Francisco International Film Festival. WHY: I don't usually like to dwell on films I wish SFIFF had decided to bring, but seeing Hong Kong Trilogy: Preschooled Preoccupied Preposterous on today's schedule reminds me of the most glaring omission from their line-up, given its absence from Frisco Bay screens up until now. It's Portuguese director Miguel Gomes's tripartite adaptation of Arabian Nights, and I'm not so surprised the festival deigned not to show it, as its structure and length (3 two-hour-plus movies that run a total of 382 minutes) would likely mean it'd have to take the place of three other programs in the festival. I just hope it finds its way to some local screen, and thought SFIFF was a good bet as it had shown a previous Gomes feature Our Beloved Month of August back in 2009. Doyle's triptych will have to suffice as a substitute for my desire for a three-part cinema experience. OTHER SFIFF OPTIONS: It's a comparatively light day for festival screenings, with BAMPFA closed as a venue and much of the staff preoccupied with the Film Society Awards Night at Fort Mason. But tonight is the final showing of Italian veteran Marco Bellochio's Blood of My Blood, of the Brazilian prizewinner Neon Bull, and of political documentary Weiner. NON-SFIFF OPTION: Purple Rain screens at the Castro Theatre twice tonight, at 7PM & 9:30. With the untimely passing of Prince, everyone seems to want to see this film on the big screen right now, with screenings selling out this past weekend at the Roxie and this week at the New Parkway. But the Castro has 1400 seats so you may have a shot at getting into this one. 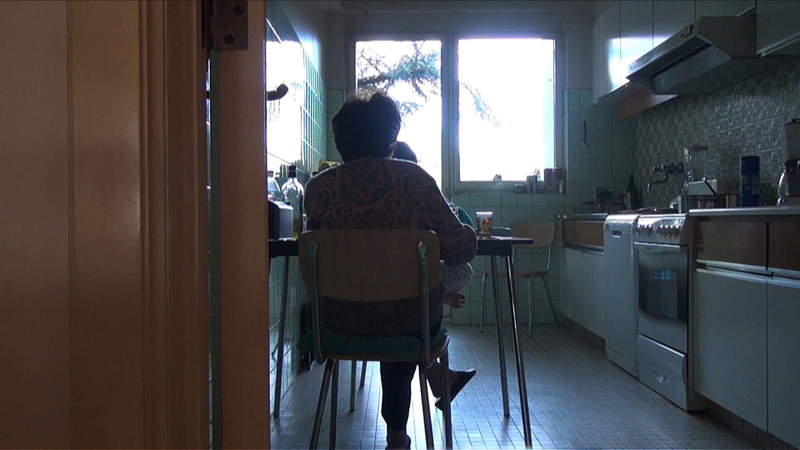 A scene from Chantal Akerman's NO HOME MOVIE, playing at the 59th San Francisco International Film Festival, April 21 - May 5 2016. Courtesy of San Francisco Film Society. WHO: The late, great Chantal Akerman directed, wrote, shot, and co-produced this, her final film completed and released before her October 5, 2015 suicide. She also is credited with doing the sound, and appears on camera as well. More than a match as bookend for Je, Tu, Il, Elle (Akerman's 1974 rumination on youth & possibility) this methodical "slow cinema" portrait explores memory, domesticity, and the aching paradoxes of our interconnecting technologies. Chantal's sub-prosumer camera films her real & virtual visits with her Auchwitz-survivor mother, demonstrating the familial routines (in multiple senses of the word) that informed her own life and films. The fact that their conversations (about family history, unpeeled potatoes, etc.) are so often funny only sets up the heartbreaking finale, foreshadowed by long stretches of wordless views of empty rooms and the Israeli desert. WHERE/WHEN: Screens at the Roxie today at 4:00 and the Pacific Film Archive at 12:30 on Saturday, April 30, both screenings part of the San Francisco International Film Festival. It also screens at Yerba Buena Center for the Arts at 7:30 PM each night May 19-21, and 2:30 PM May 22. WHY: When I wrote about the three (to my knowledge) brand-new screening venues at SFIFF the other day, I left out the Roxie because it had been used as a festival venue for a handful of 2015 screenings, including an underattended but captivating director-in-person screening of Stanton Kaye's 1969 Brandy in the Wilderness. (Also because it isn't screening The Apostate). But I'm pleased that the festival's geographical hop to the Mission has been able to give Frisco's longest-running dedicated cinema a chance to shine under the spotlight of North America's longest-running international film festival. If you haven't been to the Roxie in a while, they've upgraded their digital projection system but still operate 35mm projection in the main theatre (it'll be used to screen Alexandre Larose's brouillard #14 on Wednesday). Though the venue has had issues with noisy neighbors disturbing contemplative cinema screenings in years past, my most recent trips to the venue in the past several months have been thankfully free of such distractions. Hopefully they'll remain so for today's showing of No Home Movie. To update my previous comments on the Alamo Drafthouse-run New Mission, when I saw Akerman's film there on Friday afternoon I learned that SFIFF screenings in the venue will not include full table service throughout the film, as normal Alamo Drafthouse screenings always do. The full menu is available, but orders are taken before the film begins, and food, drink and bill are all promised to arrive by the twenty-minute mark of a given program, so as to minimize distractions. I barely noticed anyone ordering or delivering during No Home Movie. This twenty-minute mark coincides with the traditional festival cut-off time for allowing late-arriving (in the case of a non-sold-out show) festgoers into the theatre. There were a couple of late arrivals to No Home Movie, although they came in only a minute or two after the festival trailers ended and the feature began. I noticed this because I was in House 5- all upstairs screenings of festival films show simultaneously in House 3 and House 5. The disadvantage of House 3 is that it's a smaller room with a slightly smaller screen; the disadvantage of House 5 is that the theatre entrance (and corresponding green EXIT sign) is on the same wall as the screen. HOW: All screenings of this digital work are digital projections. The YBCA screenings are packaged with discounted showings of Marianne Lambert's 2015 documentary on the filmmaker I Don't Belong Anywhere: the Cinema of Chantal Akerman. OTHER SFIFF OPTIONS: Today's many festival options include a 35mm screening of Monsoon Wedding with director Mira Nair in person at the Castro, the final screening of the (digital) revival of 1955 British crime drama Cast a Dark Shadow at BAMPFA at noon, and the first showing of the 35mm, 16mm and digital program Between Us: Experimental Shorts at 4:15, also at BAMPFA. NON-SFIFF OPTION: Today at 5PM, legendary cinema scholar Gene Youngblood will be at the San Francisco Art Institute, where underground film legend George Kuchar taught for over half his life (he passed away in 2011). Youngblood will be presenting his latest research project Tarnished Angel (named for a film by one of Kuchar's favorite directors, Douglas Sirk), regarding Kuchar's diary films. I'm not sure if the presentation is a screening, a lecture, or a combination, but it's sure to be a unique look at a crucial figure of Frisco Bay filmmaking history. WHO: Ellen Burstyn was nominated for an Academy Award for Best Actress (her fourth in that category, in addition to a Supporting Actress nomination for The Last Picture Show) for this film. I believe it is to this day the only leading-role Oscar nomination for a film initially rated NC-17. (Ultimately the film was released unrated rather than be slapped with that rating). One thing I feel sure about, even after the passage of so much time, is that the film's impact depends greatly on the audience's ability to relate to its characters, and thus its performances are paramount. None more than Burstyn's as Sara Goldfarb, the mother of Jared Leto's young junkie, who begins the film addicted to nothing more than her television shows and her illusory relationship with her son. We see how easy it is for her to become sucked into a cycle of dangerous prescription drug-taking when she visits a shady doctor in the hopes of finding a pharmaceutical shortcut to weight loss. Her performance, which was not just guided by director Darren Aronofsky but her own agency as an established Hollywood star taking an opportunity to try something new in an independent film, is the soul of the film, and the main reason I'm considering revisiting it. A secondary reason would be Jennifer Connelly's performance as Leto's girlfriend Marion, who I've found a renewed fascination for after stumbling upon Alla Gadassik's remarkable video essay Marion and Gen.
WHERE/WHEN: Screens today only at the Victoria Theatre courtesy of the San Francisco International Film Festival, following a 2PM conversation with Burstyn about her career. WHY: Burstyn in person should be motivation enough, right? Traditionally these events consist of an on-stage interview, so if the film becomes too relentless of an experience for you to handle, you can leave the screening without missing out on the celebrity conversation, unless today's presentation doesn't hold to expected form. Burstyn is the first of the festival's several honorees this year to come before the festival public. While she will receive the Peter J. Owens Award for acting, the first female prize-winner since Judy Davis in 2012, Mira Nair becomes the first woman to receive the festival's Irving M. Levin Directing Award (going back to the 1980s days when it was called the Akira Kurosawa Award). She'll be at the Castro for a 35mm screening of her biggest stateside hit Monsoon Wedding tomorrow afternoon. This leaves only the Kanbar Storytelling Award as the festival's only remaining all-boys' club. Tom McCarthy becomes the eleventh recipient of this award (formerly called the Screenwriting Award and presented mostly to writers not generally known for their directing careers; McCarthy is about equally acclaimed for both) and will present a 35mm print of his debut feature The Station Agent at BAMPFA on Tuesday, April 26. Next weekend the honorees are Janus Films and the Criterion Collection, receiving the Mel Novikoff Award annually presented to "an individual or institution whose work has enhanced the film-going public's appreciation of world cinema". Because the U.S. is part of the world, the selected screening for the Saturday, April 30 Castro event is the Texas-filmed Blood Simple, screened as a DCP (a transfer I'm sure we can someday expect to see get the Criterion Blu-Ray treatment), with both of its co-directors Joel and Ethan Coen on hand for the showing. Finally, the Persistence of Vision Award, which goes to an filmmaker whose work aligns with the mission of the festival's longstanding Golden Gate Awards (to short films, documentaries, animation, an experimental film & video work - anything but live-action scripted/acted feature films). Aardman Animations, the beloved U.K. stop-motion studio, becomes the first animation recipient of this award since Don Hertzfeldt in 2010 and the fourth ever (Faith Hubley was honored in 2000 and Jan Svankmajer was the inaugural awardee in 1997.) On May 1st a retrospective of Aardman-produced short films and clips will screen at the Castro Theatre, including the Academy Award-winning The Wrong Trousers, a more recent Wallace & Gromit outing called The Turbo Diner, and even the music video for Peter Gabriel's hit song "Sledgehammer". Most of these awards were announced in time to be included in the handy printed festival guides you may have seen floating around festival venues, bookstores, coffee shops and elsewhere. But Burstyn's Award was solidified after the printing deadline, as was McCarthy's, so they're not found in the guide. Other added screenings to the festival include single screenings of the following films: Jason Lew's The Free World at the Victoria on April 30th, Todd Solondz's Wiener Dog (also featuring Ellen Burstyn) at the Victoria on May 2, Andrew Neel's Goat at the Alamo Drafthouse on May 3, and Yorgos Lanthimos's The Lobster at the Victoria on May 5th. HOW: Requiem For a Dream will screen via a projected Blu-Ray. OTHER SFIFF OPTIONS: Tonight is the sole SFIFF screening of Werner Herzog's documentary Lo and Behold: Reveries of the Connected World at the Castro Theatre. The first festival screenings of Chevalier, with director Athina Rachel Tsangari in person, the cargo freighter doc Dead Slow Ahead, and the manga adaptation Assassination Classroom all occur today at the Alamo Drafthouse New Mission as well tonight. Finally, this afternoon marks the first screening of Jem Cohen's Counting, at the Pacific Film Archive. NON-SFIFF OPTION: It's the second-to-last day of the Stanford Theatre's Alfred Hitchcock season, featuring a double-bill of 35mm prints of Tippi Hedren's two films made for Hitch, The Birds and Marnie. A scene from Federico Veiroj's THE APOSTATE, playing at the 59th San Francisco International Film Festival, April 21 - May 5, 2016. Courtesy of San Francisco Film Society. WHO: Uruguayan autuer Federico Veiroj directed this as his feature-length follow-up to A Useful Life from 2010. He also co-wrote and co-produced it. 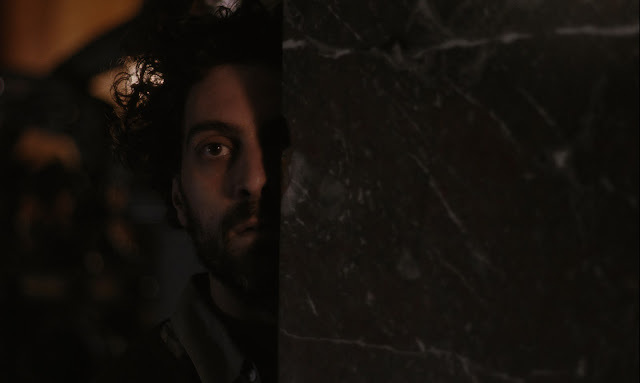 There’s comedy and plenty to think about, too, in Federico Veiroj’s third feature The Apostate, a wry character study of a man faced with a wall of bureaucracy as he tries to extract himself from the Catholic Church at the same time as facing his own existential demons. The winner of a Special Mention from the main jury and the international critics’ FIPRESCI prize, it is much funnier than the title might suggest. It features a great debut performance from Álvaro Ogalla, loosely riffing on his own life; there’s also a slyly impressive nod to Luis Buñuel, and Veiroj retains a lightness of touch and a warmth that draws you to his hapless hero. WHERE/WHEN: Screens 8:45 PM tonight at the new BAMPFA (Pacific Film Archive), 8:30 PM Tuesday April 26th at the Victoria, and 3:30 PM Wednesday April 27 at the Alamo Drafthouse at the New Mission, all part of the San Francisco International Film Festival. WHY: The Apostate is exactly the kind of film I depend on the San Francisco International Film Festival to see. It's a follow-up to a film that failed to get a theatrical release in the Bay Area, but which I loved and which inspired me to delve into a national cinema I knew nothing about. This one has a distribution deal, but one that seems unlikely to give the film a post-festival reprise on Frisco Bay cinema screens. If I'm wrong about that, I doubt I'd be wrong to predict it won't show on a screen larger than some of the smaller ones at the Opera Plaza or 4-Star. Seeing this on a bigger screen at this year's SFIFF is one of my priorities this week. My choice of screens are three that I've yet to see a SFIFF film at, as I believe they're all brand-new venues for the festival. Of course the Pacific Film Archive has long been a key SFIFF partner, but having moved operations down the hill, a block from the Downtown Berkeley BART station this year, and rebranding more officially as BAMPFA in order to highlight its reunion with the Berkeley Art Museum physical space, it's hardly the same venue where I've seen so many wonderful SFIFF screenings in the past decade or so. Though I expect the same high quality (and popcorn-free) presentation standards that I've experienced at the prior venue and at most of my visits to the new space since it opened a few months ago. The Victoria is one of San Francisco's oldest surviving theatres, but I've never heard of it used as a SFIFF venue. (Granted my direct history with the festival doesn't even span two full decades of the nearly six the organization has existed, but if the Victoria was used between the festival's 1957 founding and my late-1990s participation, it hasn't been mentioned in the histories I've read, which highlight other historical festival venues like the Metro and the Palace of Legion of Honor). Earlier this month I attended another festival (Crossroads) at the Victoria, and can vouch for the size and quality of the digital projection and sound there (I plan to discuss that venue's 16mm projection in a future post, although it's a moot point during SFIFF as all screenings there are expected to be digital) although not the popcorn, which is some of the worst in the city. Finally, the Alamo Drafthouse at the New Mission. This is the opposite of BAMPFA's new building for a venerable organization: the New Mission is a very old building that hadn't been used as a cinema for about twenty years before being refurbished and since December 2015 operated by a new (to Frisco Bay) organization: the Texas-based cinema/restaurant chain Alamo Drafthouse. There's no question that Alamo's new presence at Mission and 22nd Street has shifted some of the gravity in San Francisco's screening scene, and there's probably no clearer evidence of this than SFIFF's abandonment of the Kabuki Theatre and the Western Addition/Fillmore/Japantown by making the New Mission its 2016 flagship venue. My first visit to the Drafthouse upon its opening was decidedly mixed- I found the wait-staff very distracting despite their attempts to be inobtrusive while delivering all kinds of food and drink (including very expensive, though admittedly tasty, popcorn) to other patrons. More recent visits have been more pleasant if not perfect; some ninja training must have been put into place, although there are certain seats I will still try to avoid so as not to be frequently bumped or otherwise bothered. SFIFF screenings at the New Mission will NOT be employing the usual Alamo Drafthouse advance-seat-selection method. We'll see how that plays out. More coverage of the San Francisco International Film Festival is being collected at Keyframe Daily. I'd particularly like to highlight my friend Michael Guillén's interview with SFIFF lead programmer Rachel Rosen. HOW: All screenings of The Apostate will be digital. OTHER SFIFF SCREENINGS: Tonight at 6:00 is the sole SFIFF screening of Barbara Kopple's new music documentary Miss Sharon Jones! at the Castro Theatre. Today also marks the first festival screenings of new films by Zhang Yang (Paths of the Soul), Chantal Akerman (No Home Movie) and Hong Sangsoo (Right Now, Wrong Then). WHO: Photographer Helen Levitt is credited as co-director of this film along with James Agee and Janice Loeb, but she is generally acknowledged to be the primary creative force- the true auteur, if you will- of this film. 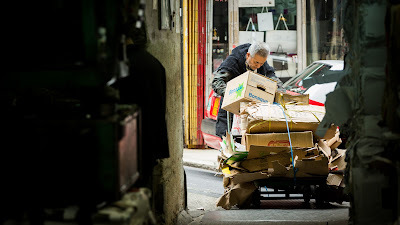 In the Street is reportage as art. It reports the facts, but for their useless beauty above all. While it could be argued that the film tells us how working class residents of Spanish Harlem lived in the 30's and 40's - how they looked and behaved, the addition of expository narrative could have told us so much more. Statistics and other facts could have helped us put what we see into context and multiplied the use-value of the film. The absence of narration or other texts proves the artist's intent that we are intended to enjoy the film as a collection of beautiful appearances. Although the word he repeats "useless" usually has very negative connotations, I'm pretty sure Arden is trying to apply it more positively in this piece. His final paragraph links In the Street to a tradition of moving image work by makers like Stan Brakhage and Andy Warhol, and proclaims, "A look around at current media art would suggest that it could benefit from a knowledge and understanding of this tradition." Uselessness has its place in life, certainly, but perhaps there's another way to understand the word "useless" when applied to art. It's the opposite of "useful" or "purposeful", and the implication of those words may place limits on what they're describing. Once something useful or purposeful has fulfilled its use or purpose, it becomes completely obsolete. A statistic about life for the residents of Spanish Harlem might become dated and seemingly irrelevant shortly after it's cited, while the images feel far more timeless and important for a modern audience to try and connect with, than they might if accompanied by narration or fact-heavy graphics. This is why we are compelled to come back to it after sixty-eight years. WHERE/WHEN: Screens tonight only at the Victoria Theatre as part of SF Cinematheque's Crossroads festival of experimental/underground/artist-made film & video. WHY: In The Street is an anomaly of the Crossroads festival in that it is a revived piece of cinema history sitting aside a vast collection of works made by current-day artists in the past few years, most of them receiving their very first Frisco Bay screenings. But, although I haven't seen very much else in the program yet, I think it's fair to say a good portion (perhaps even all) of the filmmakers involved are working in a tradition aligned with that which Arden described as containing Levitt, Brakhage and Warhol but not most of the "current media art" he saw around him. Hard facts are less important than deep truths. Useless beauty is celebrated for its own sake. There are few (if any) attempts to force a work to check the usual boxes of convention that signify "proper" adherence to a genre or form. Nine programs full of such work is a lot to take in, but at least a couple of advance previewers have come onto the scene to help the viewer sort out which programs should be their highest priority. Jesse Hawthorne Ficks has written a generous preview in 48 Hills, and at Fandor, Michael Sicinski has compared the festival against the longest-running American festival of its type, the Ann Arbor Film Festival in Michigan. Meanwhile, in case you hadn't heard already, the San Francisco International Film Festival has released its 59th line-up, set to begin later this month. It includes quite a few programs of particular interest to experimental/underground/artist-made film afficionados, including Lewis Klahr's feature-length Sixty Six. HOW: In The Street screens as a 16mm print as part of a program also including digital works Many Thousands Gone by Ephraim Asili and Field Niggas by Khalik Allah. According to the Film on Film Foundation there will be 16mm (and sometimes also 35mm or Super-8) work in all the Crossroads programs except for Program 5 & Program 6.